152 pages. 275x215mm. Printed on gloss art paper, casebound with printed board covers. 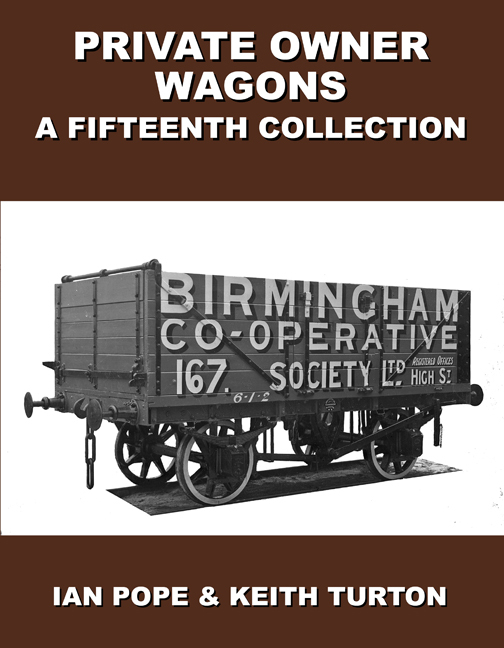 It was originally intended that this would be the first of a continuing ‘Private Owner Wagons collection’ series under a new authorship but very much continuing where Keith left off. However, several factors conspired to make it a joint volume. 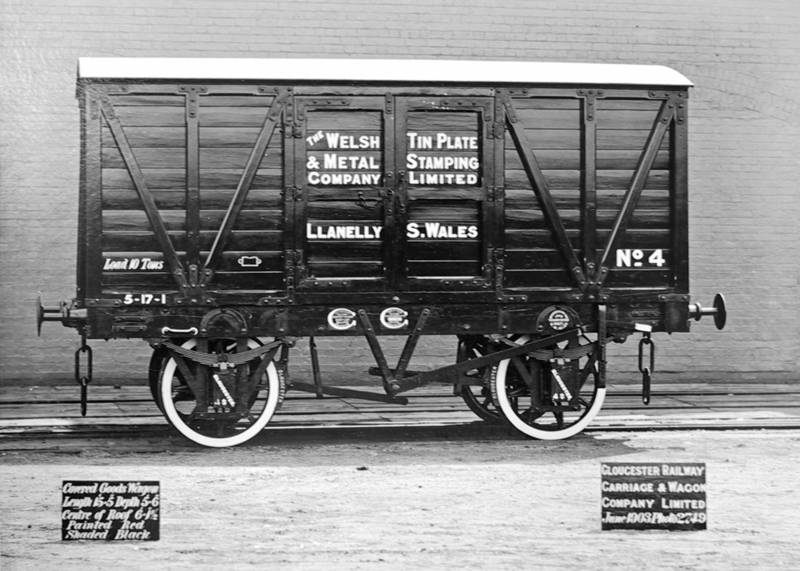 Firstly the discovery of the majority of the ‘missing’ Great Western wagon registrations meant that many wagon photographs previously ignored due to lack of information could now be presented. Secondly, Keith turned up with a lot more of the Lincoln Wagon/Thomas Burnett images from Cusworth Hall Museum which gave a much wider spread to the geographical coverage of the volume.Thus the result is a work which contains a number of the smaller wagon operators, usually coal merchants, whose stories give an interesting glimpse into the difficulties encountered in the coal trade around the turn of the twentieth century. Many set themselves up in business having acquired the finance from somewhere, only to find that life in a very competitive trade was tough – not helped by frequent disputes at the collieries themselves which stopped the supply of coal. Some small merchants succeeded and grew but bankruptcy, or a further change of trade, came to many. 10-ton van No. 4 was photographed at Gloucester in June 1903. 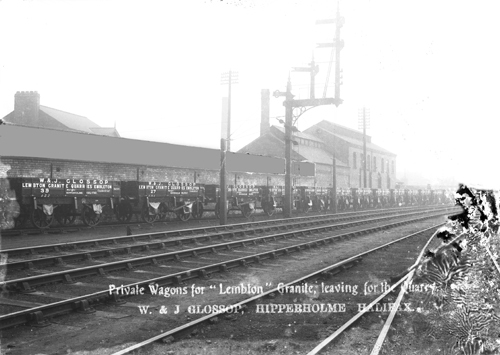 It was to a fairly standard Gloucester design as supplied to main line railways as well as to private operators. It measured: length 15ft 5in., depth 5ft 6in. and 6ft 1½in. to the centre of roof. Registration was with the Great Western (59271) and it carried Gloucester owner’s number 39803 for the five years that payments were being made. The second van taken at the same time was No. 5 and they were painted red with white lettering shaded black and black ironwork. GRC&WCo.